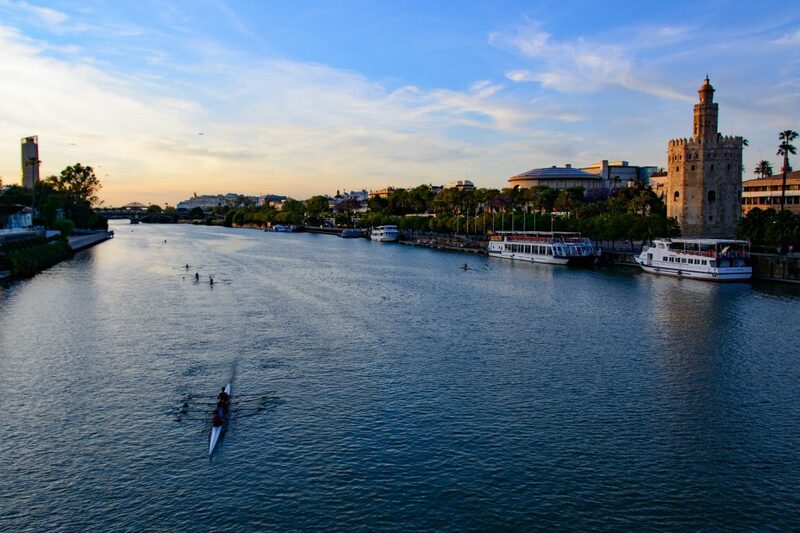 Seville Al-Bike: Enjoy the city while walking along the Guadalquivir river. Once in Spain and in Andalusia, you definitely cannot miss Seville! That is why one of our routes takes you right there. Seville hosts an impressive artistic legacy declared World Heritage by the Unesco: the largest gothic Cathedral in the world, the Giralda tower,the Alcázar palace, the Barrio de Santa Cruz, the Plaza de España… It is also the homeland of world-famous painters (Velázquez,Murillo,…), renowned writers (Federico García Lorca, Antonio Machado, Bécquer,…) and flamenco singers and dancers. Enjoy the city while walking along the Guadalquivir river or taking some tapas and a glass of wine!